Dr. Andrew Harms is an avid researcher on a multitude of topics related to brass, musicology, and pedagogy. Dr. Harms has published on topics including women in the traditional British Brass Band, collaborating with California-based collector Robb Stewart and scholar Gavin Holman. 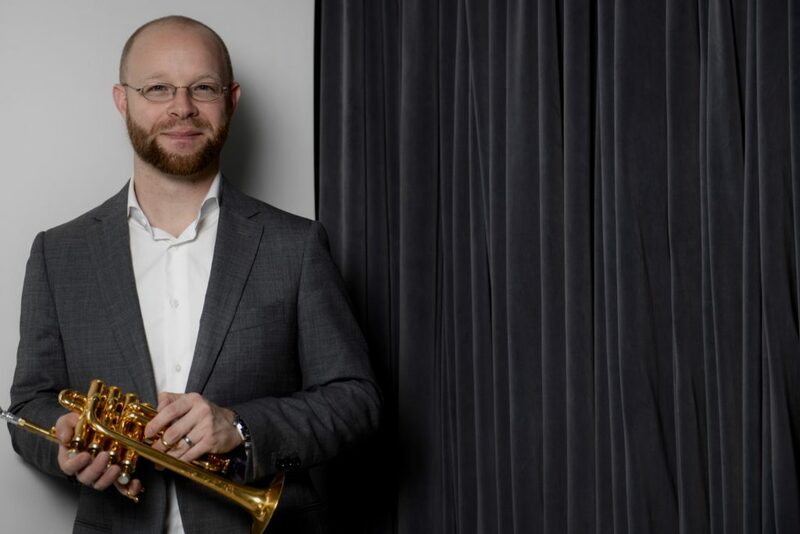 In addition, Andrew Harms has published an extensive article in the Journal of the International Trumpet Guild related to the trumpet’s role in film propaganda of the Nazi regime. As an offshoot to this, Andrew has worked with noted scholar Robert Suggs to explore the relationship between the Vienna State Trumpet Ensemble and the Austrian Nazi Party. Finally, Andrew has published articles examining the authenticity of the ever popular Torelli concerto. In the drop-down menu, you will find resources related to the trumpet in film and propaganda.